Queen » Music lossless (flac, ape, wav). Music archive LOSSLESS. Music lossless download. Label: Parlophone. Made in NL. 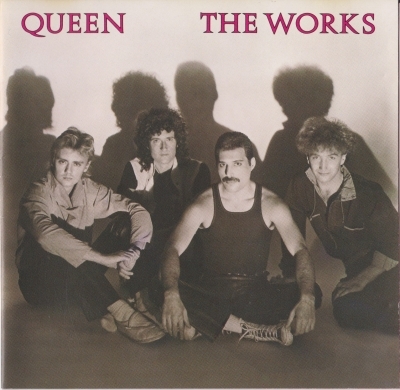 The Works is the eleventh studio album by the British rock band Queen, released on 27 February 1984 by EMI Records in the United Kingdom and it is the band's first studio album to be released by Capitol Records in the United States. After the synth-heavy Hot Space (1982), the album saw the re-emergence of Brian May and Roger Taylor's rock sound, while still incorporating the early 80s retro futuristic electronic music (Freddie Mercury) and New York funk scenes (John Deacon). Recorded at the Record Plant Studios in Los Angeles, California and Musicland Studios in Munich, Germany from August 1983 to January 1984, the album's title comes from a comment Taylor made as recording began – "Let's give them the works!" During the decade, after a negative reaction against and ban of the music video for "I Want to Break Free" in the United States, the band decided not to tour in North America and lost the top spot in U.S. sales, but sales around the world (especially Europe) would be even better. The Works has sold over 5 million copies worldwide. Label: Queen, Parlophone. Made in IT. Label: Parlophone. Made in IT. Queen II is the second studio album by the British rock band Queen. It was released on 8 March 1974 by EMI Records at midnight in the UK and by Elektra Records in the US. It was recorded at Trident Studios and Langham 1 Studios, London from February to August 1973 with co-producers Roy Thomas Baker and Robin Cable, and engineered by Mike Stone. Made in Heaven is the fifteenth and final studio album by the British rock band Queen, released on 6 November 1995 on Parlophone and Hollywood Records. Until the release of Queen Forever in 2014, it was the final album containing original material featuring the band's original line up. After Freddie Mercury's death, guitarist Brian May, drummer Roger Taylor, and bass guitarist John Deacon worked with vocal and piano parts that Mercury recorded before his death, adding fresh instrumentation to the recordings. Both stages of recording, before and after Mercury's death, were completed at the band's studio in Montreux, Switzerland. The album debuted at #1 in the UK where it went 4× platinum. The album became a worldwide success, especially in Europe, selling over 5 million copies there, and more than 7.5 million around the world. Label: Parlophone. Made in RU. The album was recorded in a much different way from Queen's other studio albums. 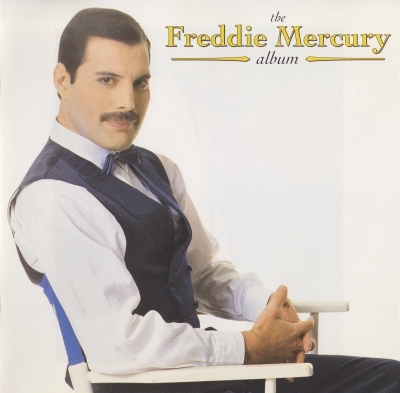 In early 1991, having completed work on Innuendo, and some months before his death, Freddie Mercury recorded as many vocals as he could, with the instruction to the rest of the band (Brian May, Roger Taylor, and John Deacon) to complete the songs later. Put to tape during this time were primarily "A Winter's Tale", "Mother Love" and what would eventually become "You Don't Fool Me". Label: Queen, EMI Records. Made in UK. Jazz is the seventh studio album by the British rock band Queen. It was released on 10 November 1978 by EMI Records in the United Kingdom and by Elektra Records in the United States. 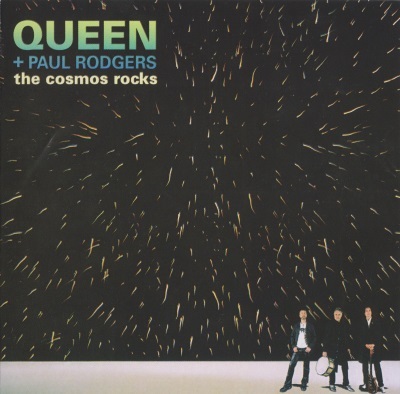 Produced by Roy Thomas Baker, the album artwork was suggested by Roger Taylor, who previously saw a similar design painted on the Berlin Wall. The album's varying musical styles were alternately praised and criticised. It reached #2 in the UK Albums Chart and #6 on the US Billboard 200. Jazz has sold over 5 million copies worldwide. Label: EMI Records. Made in RU. Ещё в начале 90-х легендарная группа потеряла своего вокалиста и лидера Фредди Меркьюри, который скончался вследствие заболевания СПИДом. Однако оставшиеся товарищи не захотели закрывать славную историю коллектива и продолжили работу, перепробовав на посту вокалиста звёзд разной величины, начиная от Робби Вильямса и заканчивая целиком опробованной группой Five. При этом ничего сколь-либо путного из этого не выходило. Довольно быстро бесконечные концерты с кем ни попадя и вечера воспоминаний надоели Джону Дикону, который покинул состав, заявив, что без Фредди существования группы не имеет смысла. Оставшиеся двое продолжили свою деятельность. Апофеозом стало знаменитое приглашение на роль вокалиста Пола Роджерса, известного прежде всего как участник довольно известной команды Bad Company. Слушайте что из этого получилось! Label: Queen, Parlophone. Made in NL. Label: Queen, EMI. Made in UK. There was no universal track listing or cover art for the Greatest Hits album, and each territory's tracks were dependent on what singles were released there and what tracks charted. In some cases, despite the band's popularity, not enough songs were issued as singles to fill a compilation album, and a few album tracks were used as filler. Some examples of these were "Sweet Lady" and "Love of My Life", neither was released as a single in any country, but appear on some regions' 1981 Hits release. In the UK and the US, where solid numbers could be collected, the album included only top 20 hits. Label: Queen, EMI Records. Made in NL. A Kind of Magic is the twelfth studio album by the British rock band Queen, released on 3 June 1986 by EMI Records in the UK and by Capitol Records in the US. It was their first studio album to be recorded digitally, and is based on the soundtrack to the film Highlander, the first in a series directed by Russell Mulcahy. A Kind of Magic was Queen's first album to be released since they had been acclaimed for their performance at the 1985 Live Aid concert. It was an immediate hit in the UK, going straight to number one and selling 100,000 copies in its first week. It remained in the UK charts for 63 weeks, selling about six million copies worldwide (600,000 in the UK alone). The album spawned four hit singles: the album's title track "A Kind of Magic", "One Vision", "Friends Will Be Friends", and "Who Wants to Live Forever", which features an orchestra conducted by Michael Kamen, while the last track, "Princes of the Universe", is the theme song to Highlander. Label: Parlophone, Toshiba EMI. Made in JP. There were numerous producers who had permission from Jim Beach to use the original master tapes. Reinhold Mack, who is not credited as being involved, was hired to oversee the project. The album was released by Hollywood Records on 24 November 1992. 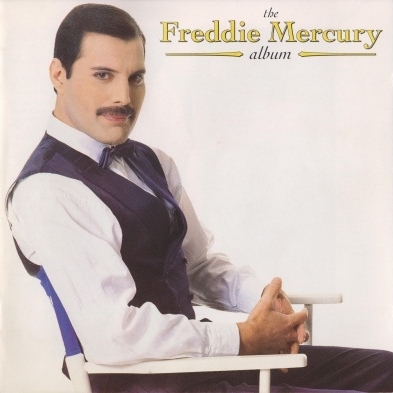 The US album differs from its UK counterpart (aside from a slightly different running order) by replacing the original versions of "The Great Pretender" and "Love Kills" with remixes, featuring a slightly altered ending of the "Mr. Bad Guy" remix, and replacing "Barcelona" with a remix of "My Love Is Dangerous". Label: Mercury Songs Ltd., Parlophone. Made in NL.